Our specialties are high quality fences, railings, and gates. All of these services offer both safety and aesthetic appeal. In addition, we also install decks. With any of our offerings, your yard will not only look amazing, but you’ll be sure to enjoy a relaxing summer. You’ll receive prompt service with a quality end product. 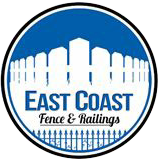 In fact, you’ll easily see why we’re one of the greatest fence companies on Long Island. Give us a call today! We'll bring the showroom to you!